This scholarship is offered to international applicants for BU undergraduate (Bachelor) degrees beginning in September 2012. You will be eligible to apply for a BU Undergraduate International Scholarship if you can demonstrate an outstanding academic profile relevant to your course. An outstanding academic profile is one which is considered to be equivalent to 3 Grade As at UK ‘A’ Level as assessed by NARIC. All applicants paying fees at the ‘international’ rate are eligible to apply. School of Tourism – 10 scholarships. £1000 payable for each academic year of the course (excluding the work placement or repeat year). Scholarships are paid by a reduction in tuition fee or by cheque. 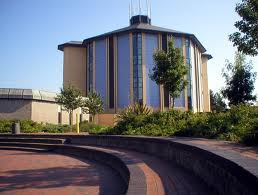 The deadline for applications is 30 June 2012 for courses in the Business School, School of Design, Engineering & Computing, School of Health & Social Care and School of Tourism. The initial deadline for applications for Media School courses is 15 March 2012. If the required number of scholarships have not been awarded by this deadline a further deadline of 30 June 2012 will apply. You can apply at the same time that you submit your UCAS application or any time after. Late applications may be considered if all scholarships have not been awarded by the deadline. Please note that all scholarship application forms must be returned to the address below and not to UCAS. Although we may contact you with a decision in principle based on your scholarship application form, your award will not be formally approved until you hold an unconditional firm offer. Demikian kami sampaikan tentang Undergraduate International Scholarships, Bournemouth University, UK semoga informasi tentang Undergraduate International Scholarships, Bournemouth University, UK ini bermanfaat.